The Stagg GEC-LP is an affordable hard-shell case designed to fit Les Paul-style single cutaway guitars. 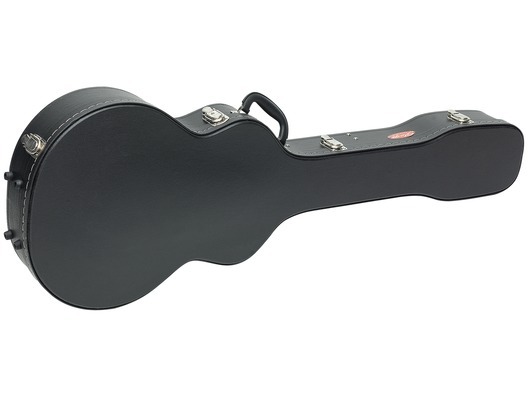 Constructed from hard wood with a black vinyl covering and foam padding, it is durable enough to keep your guitar safe from damage during transit. It also features a handy internal compartment for storing accessories such as picks or spare strings.